Home Change Is resilience important in leadership? Is resilience important in leadership? Resilience is when we are able to ride with the punches and bounce back from hardship and challenges. Obviously this is a quality that serves all of us well. Not only we can fare better with life’s challenges when we have greater resilience, but we are also less likely to become so upset by the challenges that come our way when we have greater resilience. How important is the quality of resilience in leadership? Many readers may look towards various leaders they know when considering this question, believing that the ‘leadership’ quality or title belongs to other people in certain positions. However, when we really stop to think about it, we are all leaders in life. After all, we lead our own lives. For many of us, we also have some level of responsibility in the lives of others whether we are in a titled position of paid or voluntary leadership or not. The mother who cares for her children, the nurse who cares for patients or the professor writing a research paper – there is a level of leadership in each of these roles even though many of these people may discount that they are leaders in their jobs. The leader lies within each of us, and if we honour the leader within, we are more likely to act with greater confidence. 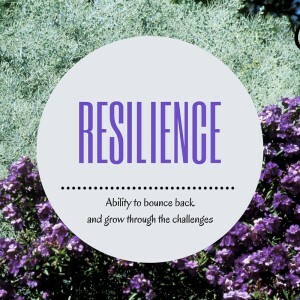 Resilience then, as a personal attribute, is important for us all as leaders of our lives. The quality of resilience allows us to keep on going despite the battles that we come up against. Those in titled leadership positions, who have greater responsibility for the direction and management of a large number of people or projects, most certainly will require a high level of resilience if they are to be effective leaders. Leaders of certain organisations and groups who deal with more people and projects, will undoubtedly come up against a larger number of challenges than other individuals, and effective leadership will require them to work through the challenges without caving in. Is resilience all about letting everything bounce off you? We know that there are leaders (i.e. people – the leader in all of us) who don’t even feel the punches. They sail on as though nothing has happened, or they may rear up to defend themselves, making life difficult for others. By definition, they may be resilient (able to bounce back after challenges), but there is little awareness of others in this type of behaviour, limiting their ability to be effective leaders. We can recognise these behaviours in some local and world leaders and in some of the people we know, maybe even ourselves at times. It is when we are less in touch with ourselves that people lash out or bully others. At these times, we are more removed from the people we are leading, whether it be the corporate body, the family or ourselves. If resilience is all about the ability to tough it out, it is not sufficient on its own to bring about effective outcomes. Resilience alone, does not build the bridge of understanding between people, which is an essential quality of good leadership, nor does it engender insights and understandings within us, essential for growing our own personal leader. Resilience, as a quality in effective leadership, must be accompanied by compassion and humility, a willingness to hear others and to learn. The most powerful leader is not a leader with brute power or the one who bullies, but rather the person who has empathy and compassion, just as the parent does for a child. Resilience is a quality that helps us weather the storm; empathy and compassion form the bridge of relationship between the leader and those being led. Margaret welcomes your comments. You may have your own tips and some insights to share, or some questions or responses to this article. To keep up to date with Margaret’s articles and blogs, enter your email address in the Subscribe section on the Blog page, and click on the Go button. You will receive an email to confirm your subscription and you will need to click on the link in the email you receive in order to finalise your subscription.